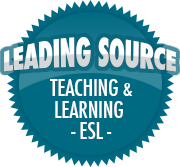 Building Trust in the Middle School Classroom | So, You Think You Can Teach ESL? I don’t teach middle school students anymore, but I whole-heartedly agree with this amazing post! Middle school students are at a very important developmental time in their lives, and they need all the support and love they can get. Sometimes, as teachers, it can be hard to remember that not all students come from loving homes. The students probably won’t say anything, but if you know what to look for, the signs will show. Even students from loving homes need the support at school. as problems with peers and other issues arise. There is nothing more important than a safe, positive, nurturing classroom environment. Learning can only take place if students feel comfortable and safe in their learning spaces. Building trust and rapport among peers in the room as well as between you and your students can, at times, even eliminate the need for discipline. As the semester changes and new students may be entering your room, consider reevaluating what you do to connect with them. This post will cover practical strategies for building trust among the students you work with as well as how to connect with your students and build rapport.